“After Tuesday’s Godspeed You! 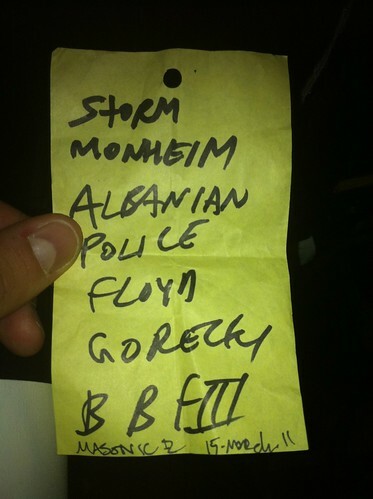 Black Emperor show at Brooklyn Masonic Temple, I could not imagine the band being able to top itself the following night. But GYBE are far from an ordinary band, and Wednesday’s show was the type of extraordinary tour de force that humbled even their awe-inspiring Tuesday show. This show built on all of the elements that made Tuesday special — the hypnotic, narrative visuals, the seamless two-plus hours of music that ebbed and flowed, and twinkled and roared, but somehow combined them even more successfully. The set never had a moment of pure calm; instead, it was a masterful sequence of classic and new material that only continued to raise the tension. Watching the band for the second time in a row, I was struck by how quickly I became immersed in the music and images, absorbed by their creative vision. This set was slightly shorter than Tuesday’s, but tighter, with what felt like a more focused narrative. As the best performances do, it left me wanting more — and a new album, in particular. I recorded this set with the Schoeps microphones, and the results are even better than the previous evening. Enjoy! Thanks to Ronen and the Wordless Music Series for their generosity and support! Both of the St. Paul’s concerts were recorded and will be posted in the coming days. 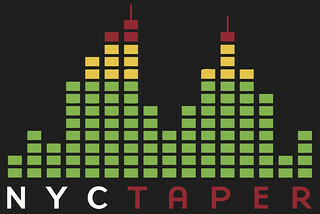 If you email nyctaper for access to this recording, we expect that you will PLEASE SUPPORT Godspeed You! 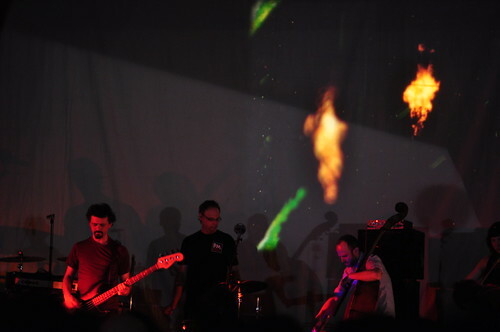 Black Emperor, visit their website, and purchase their official releases from Constellation Records [HERE]. good job acidjack! I love GYBE and do you have their latest live music in Pitchfork,Chicago? Well, this site is “nyctaper” and pitchfork was in Chicago, so I’m afraid not. Glad you liked this recording though!